Lizzie Prader is an engineer whose educational background is in theoretical computer science, but is currently better described as an engineer focused on developers’ needs. She recognizes the importance of customer support during all stages of a project, and enjoys working with developers to smooth the on-ramp to embedded development. Working with users of all skill levels—from professional engineers to makers and hobbyists to absolute programming beginners—has made her an advocate of well-organized documentation and readable code. 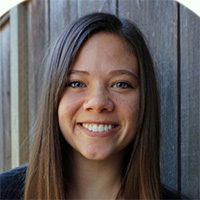 Prior to Moddable, Lizzie worked as a developer relations engineer at Kinoma. Her main goal was to help customers get the most out of Kinoma’s software and hardware prototyping products, both through direct contact with developers and by creating a variety of resources including sample code, tutorials, and blog posts. Copyright © , Moddable Tech, Inc. All rights reserved. Moddable is a trademark of Moddable Tech Inc.